I'm a Japanese Peruvian American artist, a graphic designer by day and children's book author and illustrator by night. My little dog Peanut, is my trusty coffeeshop sidekick and favorite running buddy. 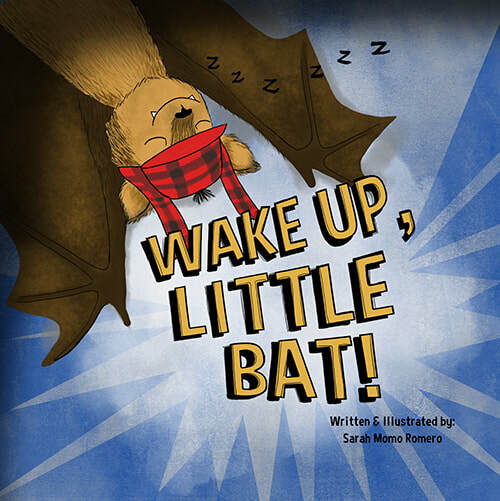 My first picture book, "Wake Up, Little Bat!" is out now through Spork! my husband, my most honest critic and biggest supporter along this journey. I love to travel and I love living in Atwater Village. But I don't always take photos, so the ones I'm in are with my favorite people or in places I love. But mostly, I want to share my stories and illustrations with readers of all ages. And that's what I'm working on every single day (or at least I try really hard to stay inspired and focused when Netflix and ice-cream are calling my name.) I live with my husband/creative partner and dog/infamous escape artist Peanut. They make me laugh and will one day be the dynamic duo stars of my graphic novel (for those who would enjoy the antics of an adventurous dog with expressive eyebrows and his sarcastic human-friend). The Her Process podcast, hosted by the warm and lovely Jo Bozarth, features women artists in Los Angeles following their creative paths. It was so fun to meet with her and talk about searching for inspiration, Wake Up, Little Bat! and puzzles! 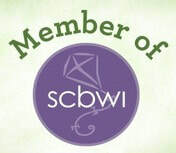 Check out my episode, and so many others with amazing creative women. ​**Professional photography credit to my very talented photographer and cousin, Jennifer Naomi Huang. All others are shameless selfies or photos from friends. I write for The Blogfish, a blog for the Children's Book Academy where I share my discoveries of picture books with incredible artwork.